Himalayan mountain range is a home for many mind-blowing natural lakes which attracts the tourists most for the purpose of adventure, scenic beauty and calmness. If you are in love with the great Himalayas as well as you love adventures then you should visit the pure and fresh lakes of Himalayan mountain range this summer along with your family and friends. The Himalayas form a mountain in Asian continent, separating the plain of the Indian subcontinent from Tibetan plateau. The Himalayan range of mountain has the world’s highest peak called “Mount Everest” with the elevation of 8848 meters. The Himalayan range of mountain covers 0.4% geographical area of planet earth. Pangong Tso Lake is an endorheic lake in the Himalayan mountain range. This lake is situated at the height of 4350 meters. This lake is 134 kilometers long and extends from India to China. The Pangong Tso Lake is 5 kilometer wide at its broadest point. Approximately 60% of Pangong Tso Lake lies in China and rest 40% in India. For the purpose of trekking and camping, the Pangong Tso Lake is perfect and there are so many dhaba’s (roadside restaurants) where you can sit comfortably and enjoy your food with the perfect view. You can reach here by 8-hour drive from Leh (capital of Ladakh). Ladakh gets very dangerously cold in winters, so the best time to visit here is from mid – March to early September. 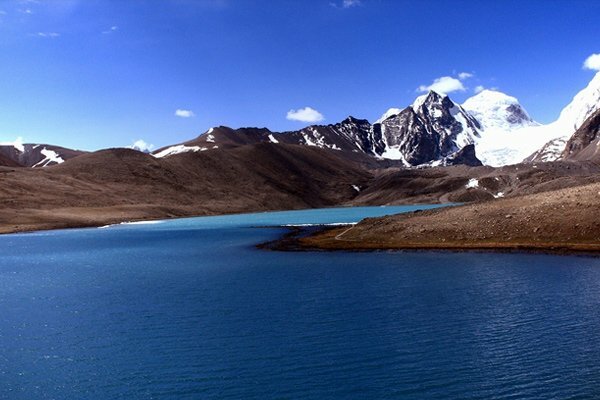 Gurudongmar Lake is a Himalayan lake in the Indian state of Sikkim. It is one of the highest lakes in our country as well as in the world. It is situated at the height of 5183 meters. The Gurudongmar Lake is considered sacred by Buddhist, Hindus and Sikhs and it is named after Guru Padmasambhava was also known as Guru Rinpoche. Guru Rinpoche was the founder of Tibetan Buddhism. The water of Gurudongmar Lake is crystal clear where you can enjoy the purity, calmness and freshness of water. It is quite difficult to stay at Gurudongmar Lake for more than 30 minutes because it is on very high altitude, you will experience severe breathing issues and if you are a patient of asthma and high blood pressure, better you should not go there. The nearest facilities for the purpose of staying are in Lachen (a town in northern Sikkim). Chandratal Lake is a very famous lake due to its crescent shape in the Spiti part of Lahul and Spiti district of the Indian state Himachal Pradesh. The Chandratal Lake is also known as “Chandra Taal” which means lake of the moon. The exact location of this lake is in middle Himalaya, Spiti valley, Himachal Pradesh. The surface elevation of Chandratal Lake is 4250 meters above the sea level and it is located 6 kilometers from the Kunzun Pass. This is a fresh sweet water lake which is spread in an area of 2.5 kilometers. 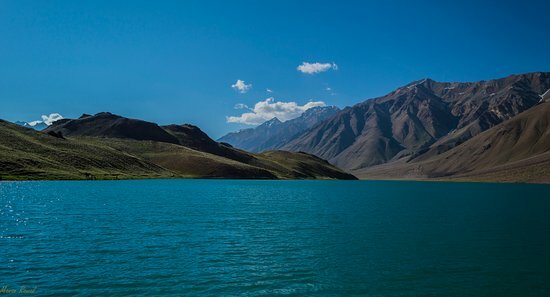 Chandratal Lake is discovered by the traders who used to use this particular route, coming from Tibet region or Ladakh. The actual beauty of Chandratal Lake of Himachal can be seen in a full moon night when the crystal clear water of this lake reflects the moonlight very amazingly but the access to Chandratal Lake is quite difficult in the night due to atmospheric conditions and high altitude. Roopkund is a glacial lake which is on a very high altitude of the Himalayan mountain range at the Nanda Devi Biosphere Reserve in Chamoli district of the Indian state Uttarakhand. The area which is nearby this lake is purely uninhabited due to its very high altitude as well as atmospheric conditions (sever cold). The Roopkund Lake of Chamoli lies in the lap of Trishul Massif (a group of three Himalayan mountain peaks). The Roopkund Lake is very famous for the hundreds of human skeletons found at the edge of this lake. 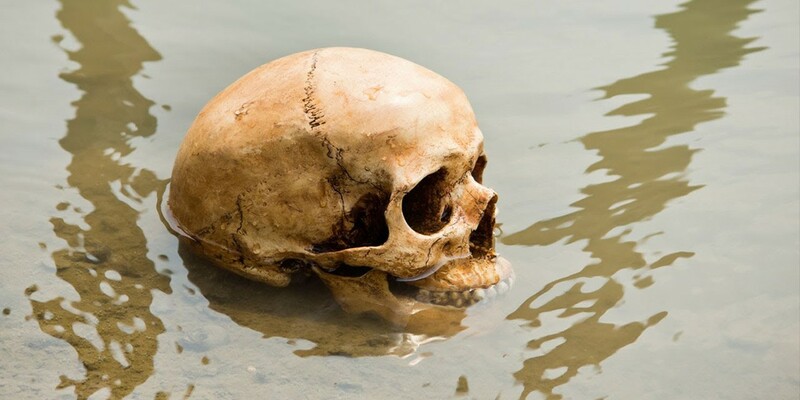 It is also known as Mystery Lake (locally) and Human Skeletons Lake (worldwide). The Roopkund Lake is in the Himalayas at an altitude of 5029 meters (16,499 feet above from the sea level). Roopkund Lake is a shallow water lake with a depth of 2 meters only. At Roopkund Lake, in the 9th century a large number of human beings were killed by an sever hailstorm occurred in the area and even still now there are human skeletal remains that are clearly visible at the bottom of this lake when snow melts from the lake, that’s why Roopkund Lake is also known as Mystery Lake and Human Skeleton Lake. Kedartal Lake is also a glacial lake which is on a high altitude of 4750 meters (15,600 feet from the sea level) in the Garhwal region of the Himalayas in India. The Garhwal region of the Himalayas or Garhwal Himalayas is the mountain range located in the Indian state of Uttarakhand. Kedartal Lake of Uttarakhand is also known as “Lord Shiva’s Lake”. This lake is completely fed by the snowfall over Mount Bhrigupanth (6772 meters), Mount Meru (6772 meters) and mount Thalay Sagar (6904 meters), which are also the major source of Kedar Ganga (a holy river in Uttarakhand). In Hindu Mythology, it is considered that the river Kedar Ganga is the Lord Shiva’s major contribution to Bhagirathi (a Himalayan river) which is the main source stream of the Ganges. Kedartal Lake is a crystal clear fresh blue water lake and the water of this lake is so damn cool where the coolest drink of water we will ever find. This lake is a true gem of Uttarakhand due to its mythological beliefs as well as the geographical area.